Hey all, yay for FRIDAYS! This week I wore some of my silver rings for a change. 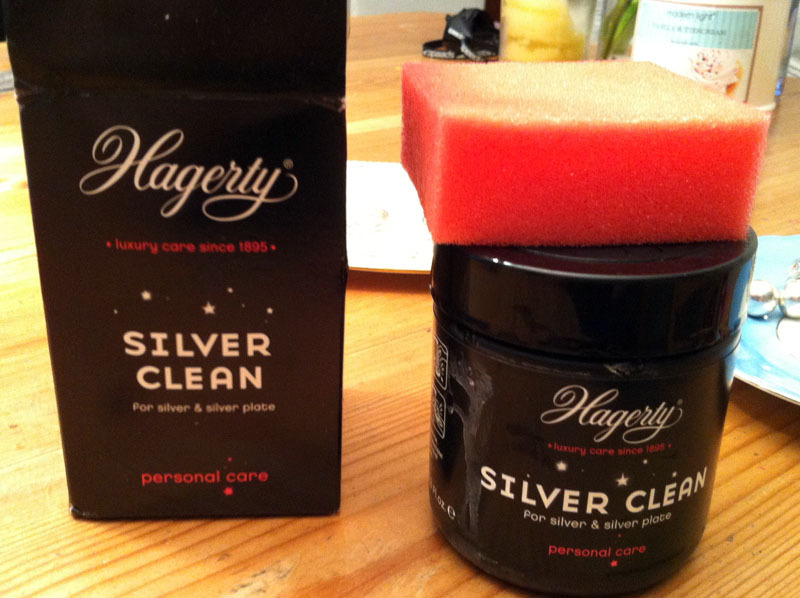 Then when I looked at them (whilst out) I was shocked at how grubby they looked. 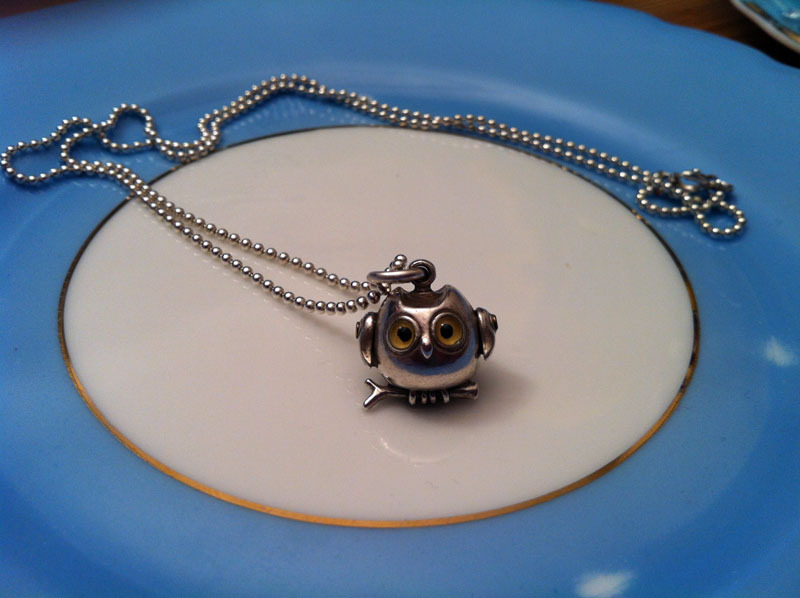 I used to wear silver jewellery all the time, but nowadays I tend to opt for costume jewellery and so have neglected my tarnished silver bling. 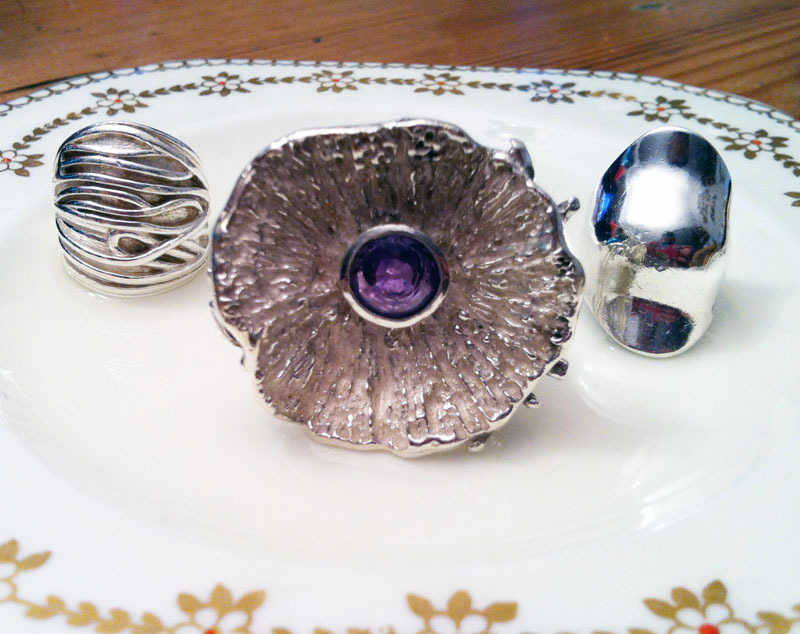 So I sat down and polished some of my favourite pieces. And it was actually very therapeutic! 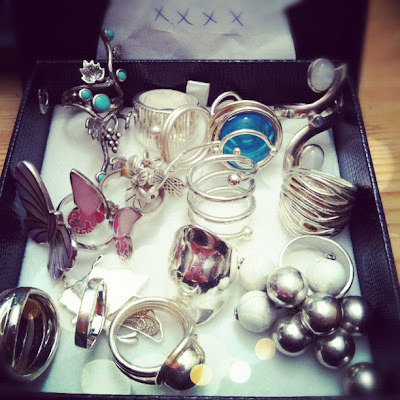 Whilst 'polishing my silver' it made me remember the little stories behind a lot of the pieces (rings in particular) and then it made me sad that I don't wear them often anymore. I'm so enthralled (like a magpie!) 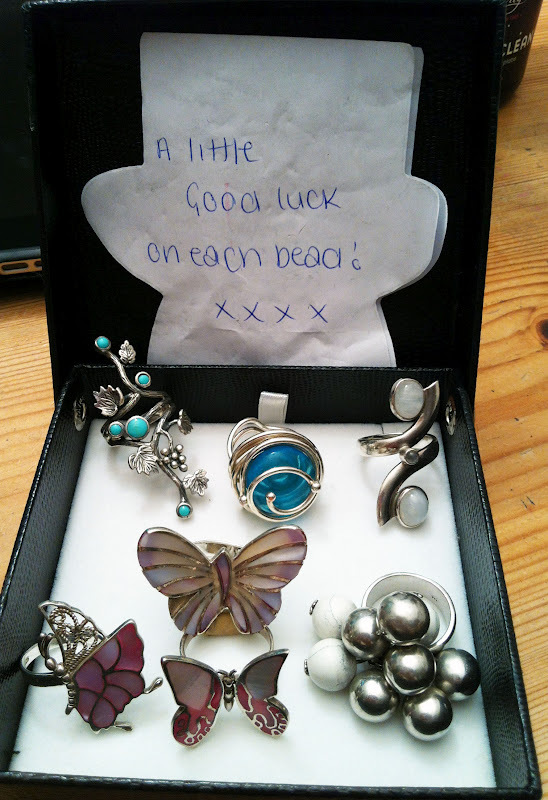 by my new costume jewellery that I forget about the memories behind my more expensive pieces. I call this guy Nelson, after the town in which I bought him. 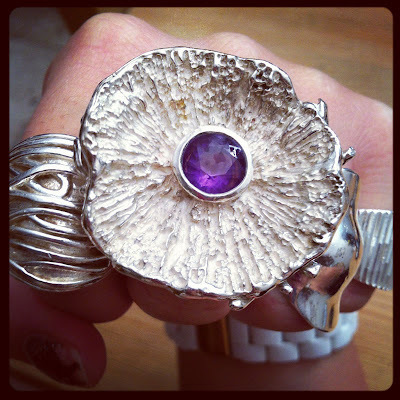 He's by a very talented NZ jeweller, Jewels Vine. His feet and wings move! I bought this silver charm ring in the Mumbles, Wales, whilst shopping with my youngest sister. It was in the weeks before I was moving to NZ and the last day shopping we spent together before the big move. These are some of my favourite rings: a Christmas gift from an ex (NO sentimental value! I just love the ring (I chose it! 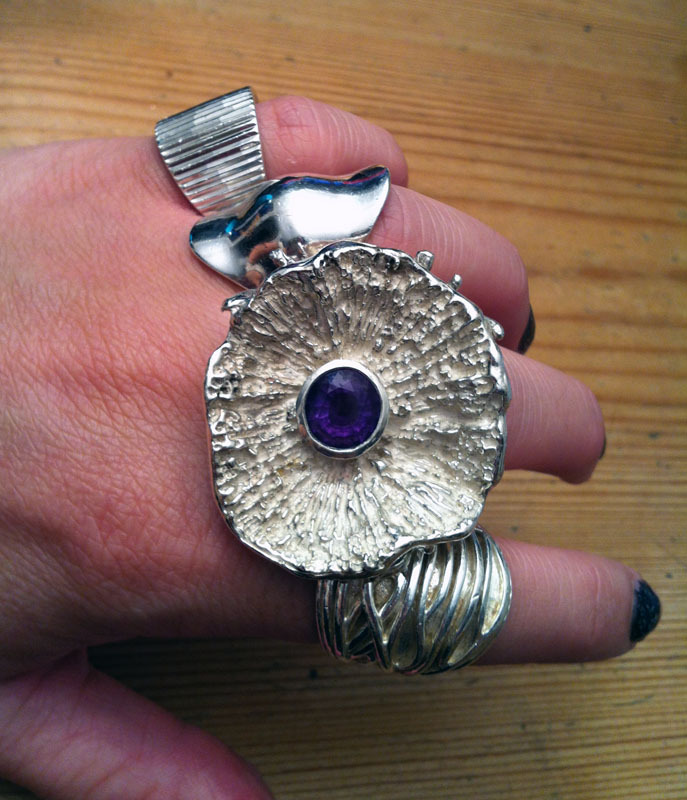 ), a HUGE silver and amethyst ring by a NZ designer, and a little ring I picked up in a market in Abergavenny years ago. 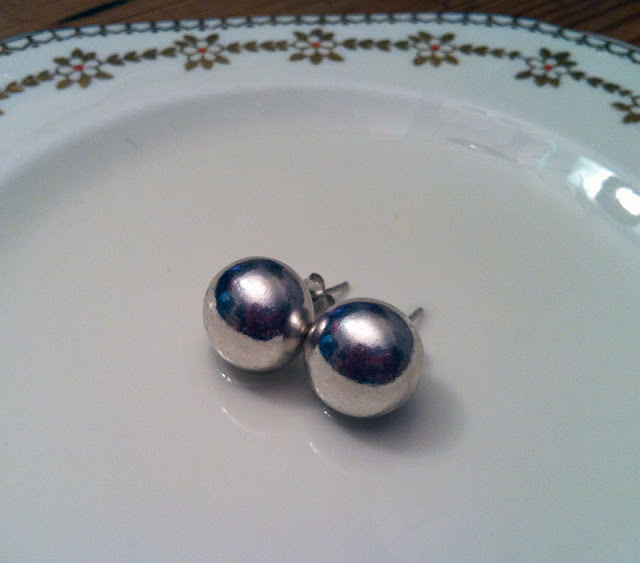 My silver ball earrings, bought in Bath. More favourites. Bottom left is a gift from another ex, and bottom right was a birthday present from my parents shortly before I moved to NZ (by a Welsh jeweller). 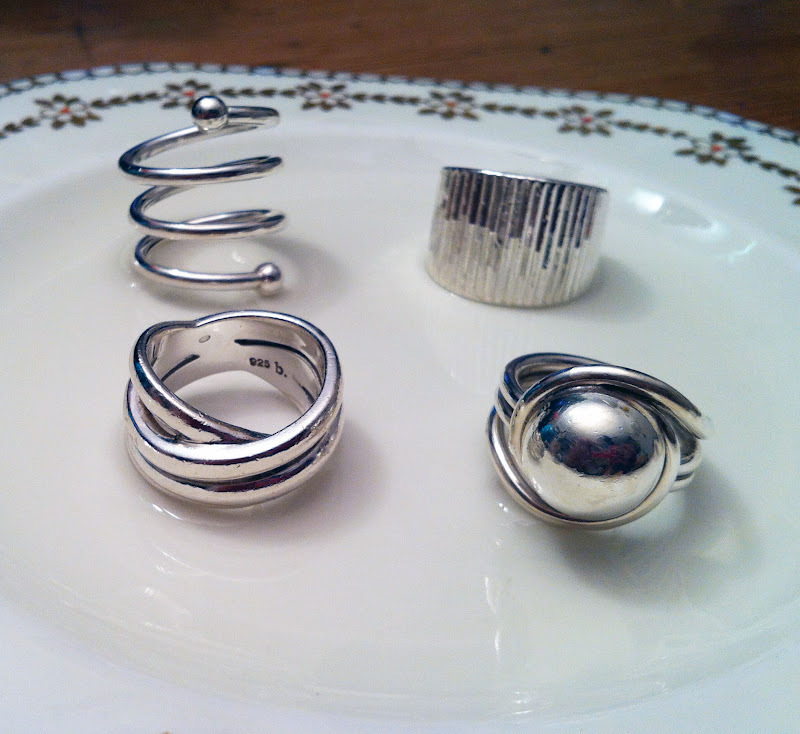 More silver rings - bought in Antibes (France), Wales, Croatia and the Bahamas. I like to buy jewellery on my travels it seems! 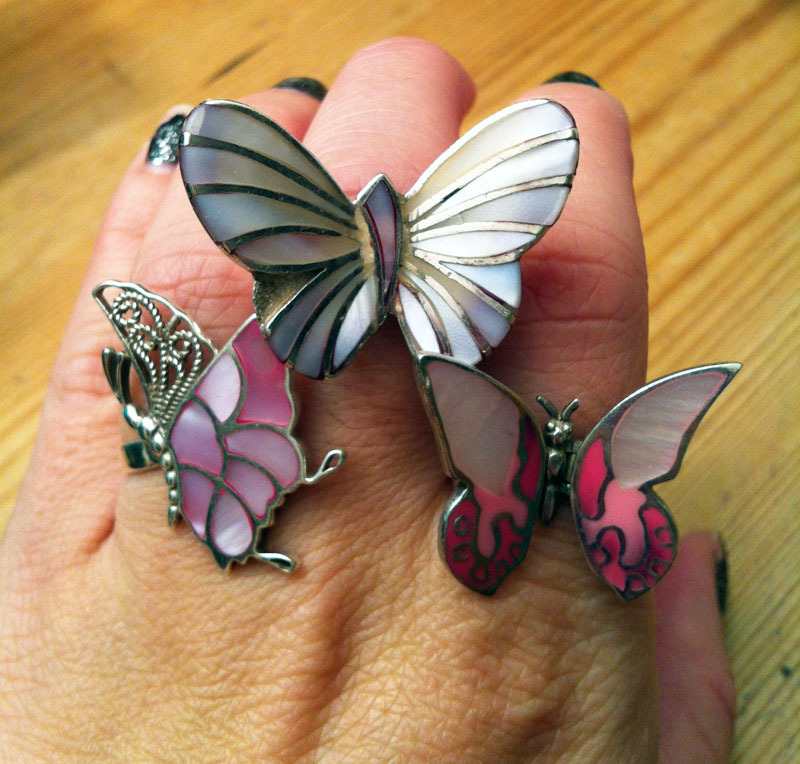 I had a thing for butterfly rings for a while! I have small hands but wear huge rings - hmm!?!? 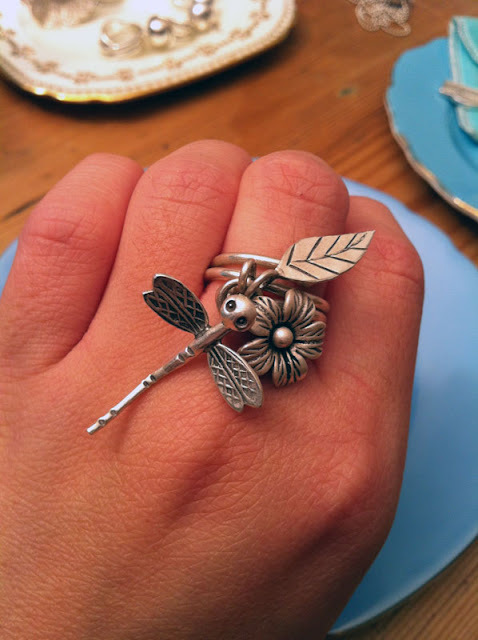 Does your jewellery tell a story? 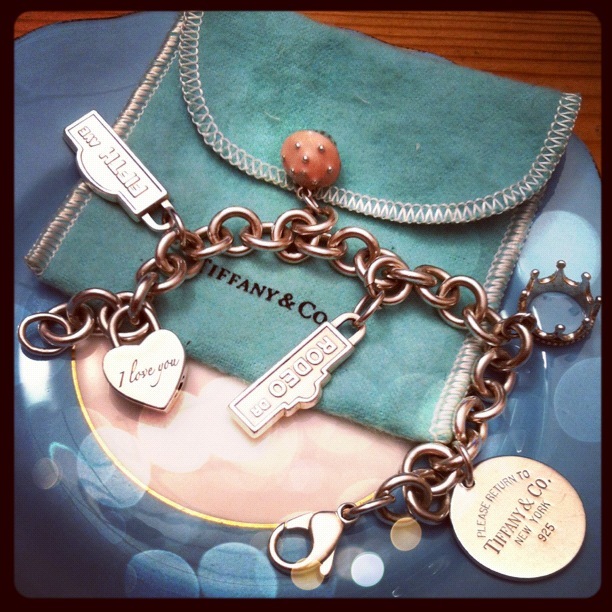 You have some lovely rings, but it's the Tiffany bracelet all the way for me! BTW M&S have some pink flamingo outside dining stuff & I thought of you!!! Just wanted to let you know as you may want to check it out on their website.